Samsung has finally unveiled its much touted Galaxy S8 and S8+ phones, writing a new chapter in the era of highly competitive smartphone marketing. 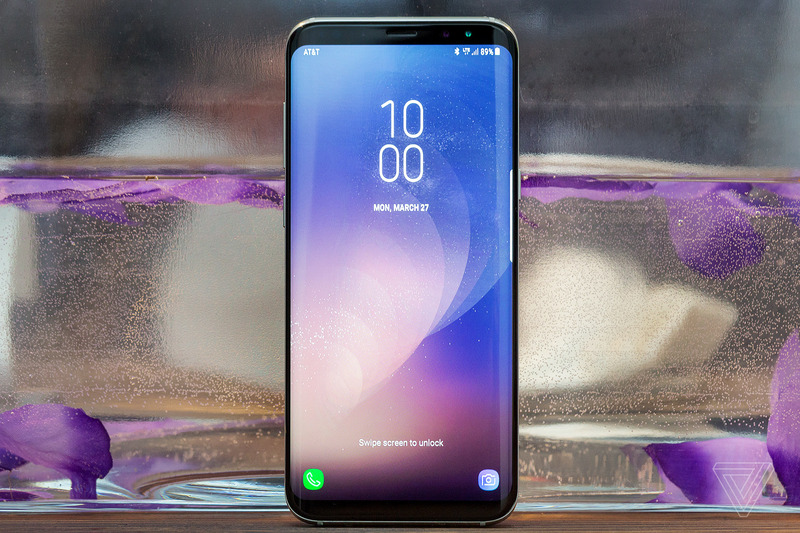 With a host of new unique features, some of which have been never seen in the industry, and a slick, edgy design, the flagship Samsung Galaxy S8 phones are a solid upgrade from the Galaxy S7 series and promise to make the Galaxy Note 7 disaster a thing of the past. ‘The Samsung Galaxy S8 and S8+ usher in a new era of smartphone design and fantastic new services, opening up new ways to experience the world. The Galaxy S8 and S8+ are our testament to regaining your trust by redefining what’s possible in safety and marks a new milestone in Samsung’s smartphone legacy,’ says DJ Koh, president of Mobile Communications Business, Samsung Electronics. As rumored earlier, the Galaxy S8 phone has a bezel-less design and the traditional home button has also been removed, creating a more slick and refined look. The new design offers a more immersive viewing experience to users and also makes multi-tasking a smooth ride. Both front and back parts of the phone have Corning Gorilla Glass 5, adding a premium finish to the phone. The Galaxy S8 measures 148.9 x 68.1×8 mm and weighs 155 grams while the S8+ is slightly heavier at 159.5×73.4×8.1 mm and 173 gram, mainly due to the larger screen. Both phones come with 64 GB of internal memory (expandable upto 256 GB through memory card) and 4 GB of RAM. The Samsung Galaxy S8 features the company’s new UX, which will significantly improve user interactions. At the launch event, the company displayed the smartphone’s app icons and typography that imbibe the design language of the phone to give a more enhanced experience. The company has also upgraded its signature ‘Over The Horizon’ sound and associated ringtones with the new UX. The Samsung Galaxy S8 series will be the first phones to boast Qualcomm’s powerful Snapdragon 835 processor. According to the company, the latest 10nm processor in the new phones will enable ‘heightened speed and efficiency’. For the U.S. market, the Galaxy S8 series will be powered by an octa-core Qualcomm Snapdragon 835 processor (2.35GHz quad-core + 1.7GHz quad-core). Samsung will also come out with another octa-core processor, the Exynos 8895 SoC, and both 10nm processors would reportedly support Gigabit LTE and Gigabit Wi-Fi with download speeds up to 1Gbps. Both Samsung phones 8+ feature an Infinity Display, with the screen size being around 18% larger than that on the Galaxy S7. You can watch 21:9 movies in the 18:5:9 display, with the viewing area in the Galaxy S8 being nearly 36% greater than its predecessor. At the event, Samsung also showcased the High Dynamic Range (HDR) Premium capabilities of the phones, with the Infinity Display being optimized for multi-window functionality. The S8 and S8+ will also feature a new Snap Window feature that will boost productivity of users by allowing them to pin a particular area from a recently used app to the top of the screen. This will enable them to continue working on the area remaining below. Both phones have a screen resolution of Quad HD+ (1440 x 2960 pixels). Dual pixel technology is the new rage in high-end smartphones and both flagship models of the Galaxy S8 feature 12-megapixel dual pixel technology with optical image stabilization (OIS) and f/1.7 aperture. At the front, there is an 8-megapixel autofocus sensor with an f/1.7 aperture. The wide aperture and autofocus technology is claimed to offer superb pics in low-light conditions (can it match the Google Pixel in this area?). The camera UX is also optimized for one-handed operation. The front camera is integrated with facial recognition technology (for better selfies) while the app comes with a range of filters, animated stickers, and stamps. The Samsung Galaxy S8 has a dedicated button for its digital assistant Bixby, which the company claims will revolutionize how people interact with their phones. Bixby shows contextual information after analyzing the users’ behavior based on their geography, app usage and other patterns. It also works with Google Play Music, camera and other preloaded apps. The new Samsung phones come pre-loaded with Samsung Connect that allows users to manage and keep track of the smart devices in their home through a single app. The company has confirmed that third-party support will be available from Samsung Connect through the SmartThings hub integration. Right now, select Samsung Internet of Things (IoT)- enabled devices are compatible with this new technology. Ever wondered how easy and fascinating it would be if you could also use your phone as a desktop? Samsung precisely announced the same with a new feature called DeX mobile-to-PC transition tool that is very similar to Microsft’s Windows Continuum. ‘Samsung DeX is a unique solution that transforms your smartphone into a desktop by providing a secure desktop-like experience. With Samsung DeX, users can easily display and edit data from their phone, making working from a smartphone faster and smarter,’ said the company. Users of the Galaxy S8 will have to plug their handset into the DeX Station, which in turn will connect it to an HDMI compatible monitor, as well as connect to any keyboard or mouse that is bluetooth-enabled or can be connected through USB or is an RF-type device.